[easyazon-image align=”left” asin=”B004EBT6ZQ” locale=”us” height=”160″ src=”http://ecx.images-amazon.com/images/I/51z460m3CpL._SL160_.jpg” width=”103″] The principles of Sacred Geometry apply as much to the form of the whole cosmos as they do to human or microcosmic realms. 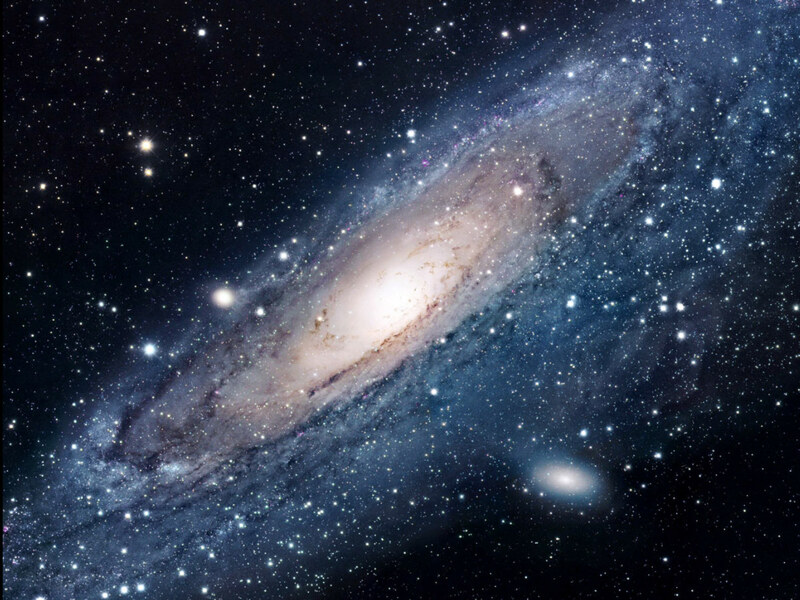 Galaxies are thought by mainstream astronomers to be primarily formed by gravitational forces and the original energy released in the ‘Big Bang’ (originally intended as a derogatory joke). Here at Sacred Geometry Web we prefer to think that the primary forces or creation are electrical and geometrical at least as much as they are gravitational. The field of Plasma Cosmology has been fighting for recognition for decades now, but the establishment hold on to its theories that were formed before our species had much understanding of electricity and its life like behavior. [easyazon-image align=”left” asin=”0823421929″ locale=”us” height=”138″ src=”http://ecx.images-amazon.com/images/I/61lfgUmUJQL._SL160_.jpg” width=”160″]Our society’s concept of ‘galaxies’ is not even 100 years old!! 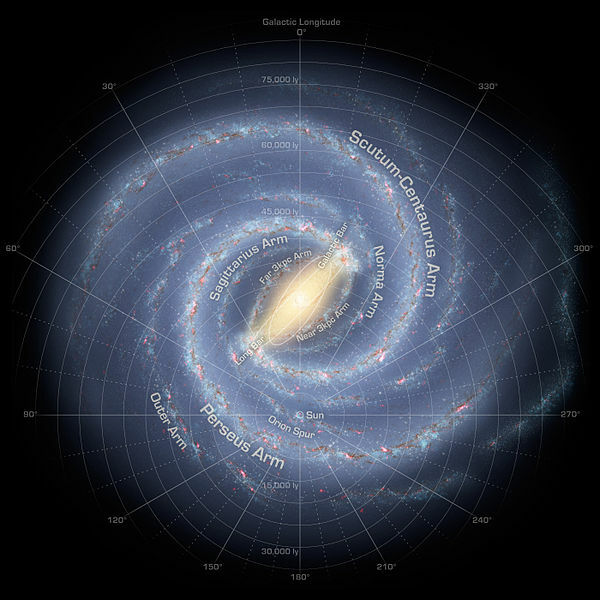 Wikipedia says that it was 1930 before our present picture of the Milky Way, our own Galaxy, emerged. Of course (unless our technology takes a few more quantum leaps within our life times or we get the assistance of extraterrestrials or some such thing…) we will never see our own galxy except from within one of its outer spiral arms. But through painstakingly careful measurements of star distances using the best methods we have devised, and comparing this to other galaxies we can observe, we have created a picture of what we think it looks like. Our current estimates are that the Milky Way has between 200 and 400 billion stars (yes that’s a 100% possible margin for error!). We are approx 27,200 light years from the center and the Galaxy is approx 100 to 120 thousand light years across. Here is an artists impression of what it might look like from above (or below LOL). From the point of view of a plasma physicist it is obvious looking at galaxies that they have the classic shape of an electromagnetic field at right angles to the disc. Think of the disc as the equator and the poles as above and below the center. Nassim Haramein proposes that the geometric form is based on a ‘double torus’ with energy flowing out at the equator and in at both the poles. (Think two dohnuts sitting on top of each other with their holes aligned). Whatever the actual nature of galaxies and the forces that form them, (don’t forget that our theories about this are changing faster than our car model designs), our eyes have certainly been openned to a much more beautiful cosmos than we have imagined might be awaiting us. I’ve had this galaxy above as my computer desktop piture on and off for the last few years. It is remarkable for the perfection of its halo as well as its disk and its band of dust around the outside. When I look at it I can’t help thinking some awesome race of beings decided to perfect their own galaxy, sort of like geo-engineering taken up a couple of quantum levels of the fractal. Perhaps a race of Sacred Geometricians got carried away with home improvements? 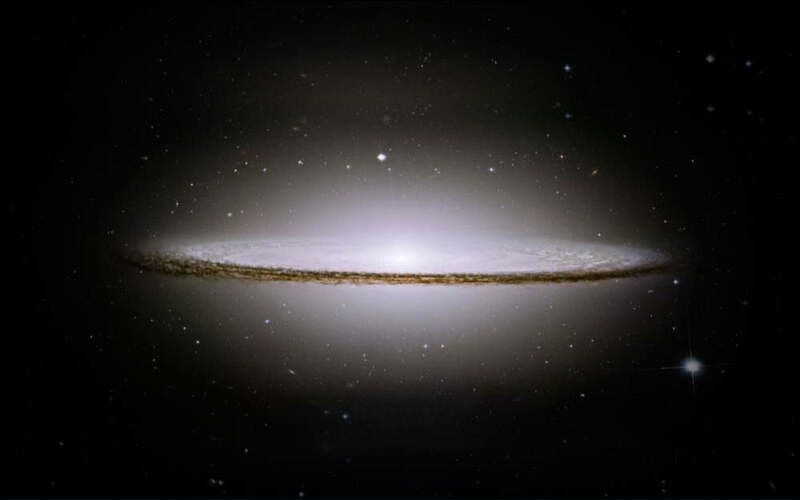 It seems somewhat disrespectful to me that it is commonly known as ‘the Sombrero Galaxy’ as it resoundingly won a recent internet poll of humanity’s favourite galaxies! Something more like ‘the Angelic River of Light Galaxy’ would be more suitable. The incredibly fine mist surrounding the galaxy is of course made mostly of stars. I only recently realised (please correct me if I am wrong) that the individual stars within a galaxy are not visible being too small by comparison! For an analogy… imagine trying to take a picture of your whole body and then looking at that picture and trying to discern the individual cells. Therefore what may appear to be stars in a photo of a galaxy are actually either clusters of stars or else stars that are much closer to us than the actual galaxy. In order to photograph other galaxies we of course have to find spaces we can look out through between the nearby stars in our own galaxy. Of course M104 is not without competition in the cosmic beauty contest. Our nearest neighbor Andromeda (pictured above) is certainly no wall flower – and because she is only approx 4 million light years away we can really appreciate the subtlety of her curvaceous lanes of light. What does this teach us about Sacred Geometry and the Universe? Throughout history as scientists struggled to understand the nature of the universe they have used geometric knowledge to measure and model what they saw. Often they have theorized based on geometric laws and tried to force the observed facts to fit into geometrically constructed boxes. Kepler who defined the laws of planetary motion for us circa 1620 was the most obvious of these as he tried to define the planetary distances using the platonic and archimedean solids. He did not succeed in this, but in the process proved that the planets orbits were elliptical not circular as it had been assumed they must be having been set up by a ‘perfect creator’. Apparently God was more subtle than we thought. Sacred Geometry Web’s opinion is that studying the apparent geometry and proportion of the heavens will continue to be a fruitful activity as it opens the mind to mysteries of such enormity that they cannot fail to enlighten us – and that this will be a never ending process of discovery. And this hour and a half long documentary is a great primer on the latest mainstream knowledge as to where we are inside the galaxy. It has some great visuals too !